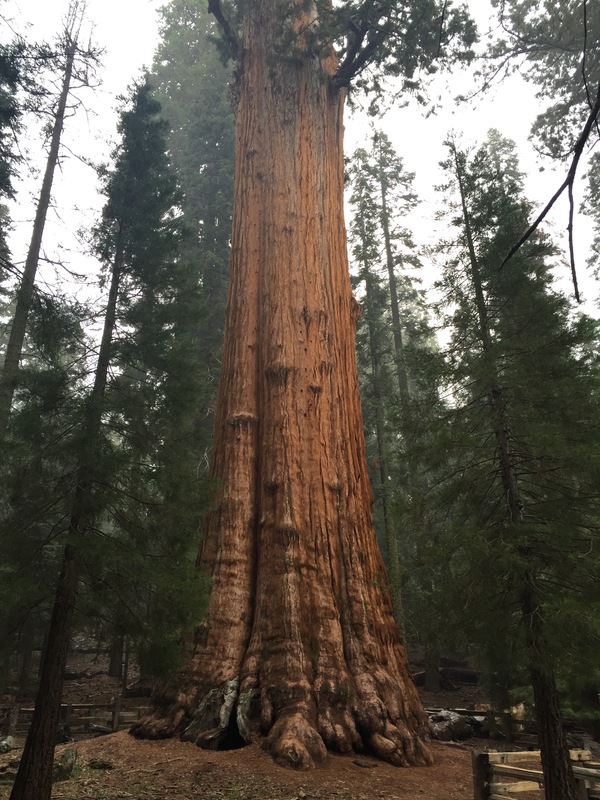 All mature Sequoias have withstood fire, not one fire, but many, in their lifetime. And their ancient wisdom can teach us many things about standing in/through/with this current moment of social and political fire. Particularly, who we want to show up as and how, in our business + life. Sequoias can teach us to root deeply into integrity + the values of equity, justice and love, even amidst the under/overgrowth of centuries of white supremacist patriarchal systems and the resistance that fuel the socio-political “fires” of today. These systems of racialized, gendered, sexed, and classed oppression have been imbibed since birth as part of our national psychic and visceral ecologies and histories. They are not native, or natural, although Social Darwinists and contemporary white supremacists have tried to make them seem so. And because we are all on the forest floor together, we can look to these ancient giants, that pre-date the dinosaurs and outlived them, for some guidance in our work as paradigm shifters, creatives and healers. Standing at the foot of these tall and proud sentient beings is a most humbling and awe inspiring experience. Sheer wonder. It is like being in the presence of greatness, wisdom + integrity. It may not be explainable, but you know it with every fiber of your being when you are there. (If you have not yet been able to see these giants in-person, put it on your bucket-aka-not-to-be-missed in this lifetime, list. Yes, it is that awe inspiring). It is not just the size, age, girth and the sheer physical magnificence and beauty that is striking, but the ancient Sequoias’ relationship to fire as well. Without fire, no new Sequoias can sprout. Sequoias need fire to reproduce. Fires sweep the forest floor of competing vegetation + undergrowth, preparing the soil for new growth. The heat opens the seed cones so seeds can be released to the forest floor. Some will sprout and with the right nutrients, grow. Always in relationship. From fires of destruction to nutrient rich regeneration and reorganization. The metaphoric fires of today’s movements are confronting and consuming centuries of systemic oppression-overgrowth. These fires are not isolated, nor are they a new phenomenon. But it is time for the systemic overgrowth of white supremacist patriarchy, in all its forms, to go. As Ijeoma Oluo said in her recent work, There Is No Middle Ground Between Racism And Justice. And because these systems of oppression are internal as well as external, we must dismantle them from the inside out and the outside in. While fires can remove barriers, we must also conjure the vision of, “somewhere in advance of nowhere.” -Jane Cortez via Robin Kelley. And this ability to see “somewhere in advance of nowhere” is the explicit domain of the Arc Benders, the dreamers, doers, creatives, healers, culture-shifters, who are actively shaping moral arc of the universe, just as the Sequoias shape the canopies of the forest. It is through well-designed educative programs that you can create a container for your work that makes it possible to serve more people, catalyze deep transformation and create bigger impact. Education and business constructed in alignment with the ideals of justice, equity and love, can be a method of liberatory praxis. You already know that the seeds of your work can catalyze optimum and transformative growth, intervene in the world and create new paradigms for what is possible.